A basketball player, professional or not, needs to have a good basketball shoe to support his ability. A player needs more speed, traction, and extreme movement on the court. Low top basketball shoe can provide all of these things. Here are the 5 best low top basketball shoes available in the market today to help a player decide which shoe will support his skills. The shoes were reviewed according to their features and benefits. Generally speaking, many basketball players get injured wearing mid or high top basketball shoes compared to those who wear low tops. But there are still some people who are scared to wear this type of shoes. If you are one of those people then this guide might help you change your mind. 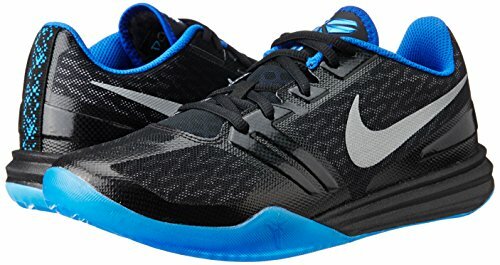 If you are a basketball player and you want to try a low top shoe, look no further and take a look at our best low top basketball sneaker list that we have collected. Kobe XI is the latest on the list of amazing signature series for Kobe Bryant shoes designed by Eric Avar for Nike. The shoes boast a simple but highly technical silhouette. 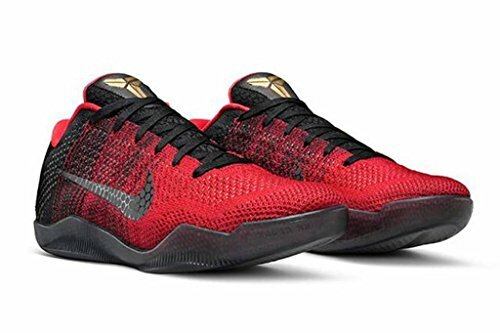 It is 100% authentic, brand new from the low top version of the Flyknit Kobe XI. The Flyknit mesh material on both sides of the shoe displays a gradient-like blend flawlessly knit under the patented Nike logo. The fit is the most vital aspect of a shoe analysis. The Kobe XI will fit your foot perfectly. It will not slip off your feet even if you do your layups and dunks, and you will feel very secure all the way around. The Kobe XI features the Nike Flyknit Technology that offers breathability. Traction is an important feature that a buyer should check out when buying a basketball shoe. Kobe XI offers substantial on-court traction. Kobe XI has a translucent rubber outsole with free flex grooves all over the edges and underside that allows you for a quick cuts and the ability to stop in an instant. Kobe XI has exceptional cushioning. With its Nike Lunarton technology the sneaker tucks the foot perfectly, with a full-length drop in the Lunar midsole. It has highly-functional flex grooves at the forefoot of the Lunalon foam which allows greater multi-directional movement. 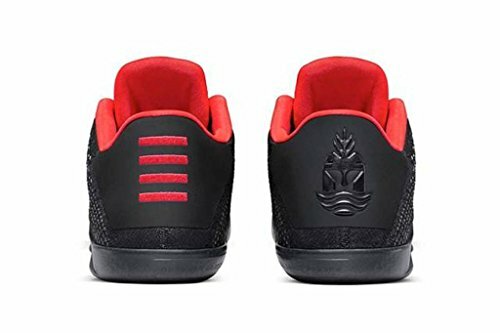 On the heel counter, you will find the signature Achilles Logo. 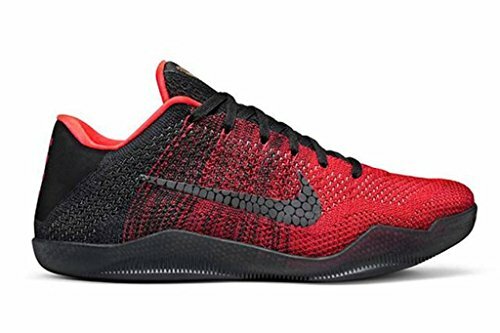 With Kobe XI, Nike has proven again that they can create comfortable and quality low top shoes. When it comes to traction, Men’s KB Mentality shoe has some edge over its rivals. Even if there is dust around, this sneaker will not have any issue. It will work well both indoors and outdoors. 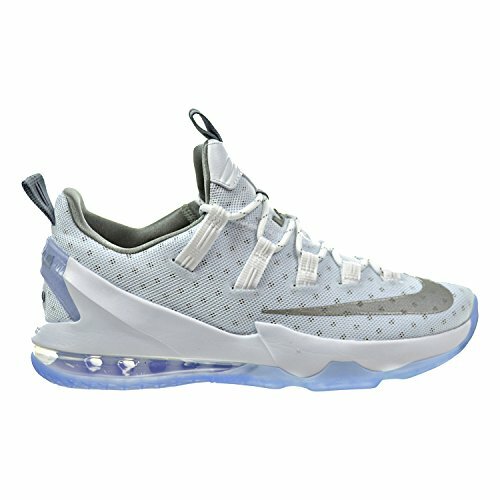 The cushion is another feature that you need to consider when buying a basketball shoe. KB Mentality has full-length lunar which means that you will get plenty of court feel, and it will absorb a good amount of impact. Its Lunar is not as bouncy or as responsive as the others but it is a solid setup that works perfectly. Men’s KB Mentality fit true to size. If you are a wide footer, it is the best to try them on first before buying them, just to be on the safe side. But, if you cannot try it on, and you already own a Kobe 8 then you can go with whatever size you wear in that shoe. The shoes feature Lunarlon cushioning with the classic low-top silhouette. It is light which means that it has less material for the upper, thus it has less structural support. Depending on your weight, this shoe is a solid performer for cushioning and lockdown. What’s great about the KB Mentality is the price. It is very affordable for those who are on a tight budget. For those who are just curious how a low top shoe performs, you can start with KB Mentality. Its interchangeable insoles are yet another great feature of KB Mentality. If you are looking for a solid shoe at a decent price, KB Mentality is a good choice. 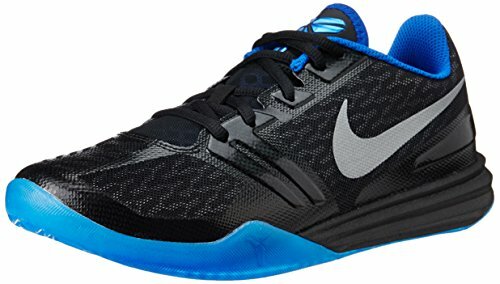 Its one of our cheap basketball shoe in our list. You can use this during your indoor and outdoor games and it can last throughout the year. Overal this is a good basketball shoe. The Under Armour Curry Low shoe is a great addition to the Curry line. If you liked the lineup for mids, you will surely love the lows as well. If you want a change, you will surely love the Curry low. 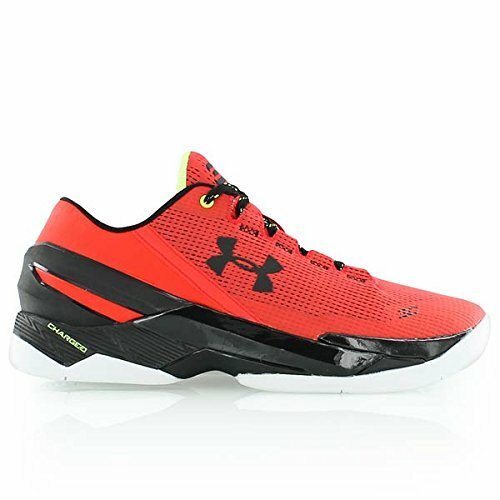 If you are looking for a great performing low top shoe, the Under Armour Curry Low sneaker is definitely a good choice. It’s one of the best low top shoes available. It has TPU heel counter outside that is firm and flexible that cups your heel in position. Also, it has some additional padding that cushions the Achilles comfortably. The Anafoam in the upper will keep your foot within the foot bed. You will not have any problem with the lacing system as it does not get loose during the game. Also for players who wear ankle braces, this is the perfect shoe for you. This shoe will keep you stable and locked in all throughout the game with no disappointment. The shoe fits true to size. Cushioning is yet another strong point for Curry. This shoe combined both the Charged and Micro G systems to produce a very stable and responsive ride. As the heel strikes, you can feel the Micro G stabilize the foot at the same time providing the energy back to it for the next step. Finding a shoe that provides a balance between bounciness and stability is hard to find, but you can have them both in Under Armour. For an amazing grip, the Under Armour uses an industry standard full-length herringbone outsole. While playing the rubber compound sticks to the floor that enables you to cut and stop on a dime. The Under Armour Curry traction proves that herringbone never lets you down. The shoe gets enough air-flow while playing basketball. The Lebron XIII low sneaker is yet another great low top shoe that you can consider. The first thing you would want to know about this shoe is its traction. Visually, the durable rubber outsole traction is not as impressive as the others, but as you start playing you will feel that it works well on the court. 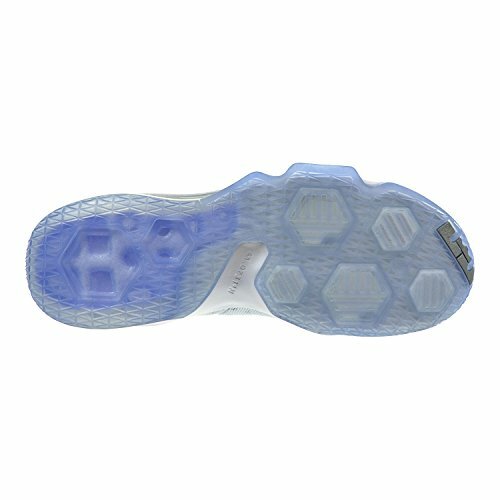 It has hex pods throughout the outsole with large bars that act like herringbone and are implemented in different directions for better coverage no matter where or how you move. Dust is never an issue with Lebron XIII as its one of the best low top basketball shoe. 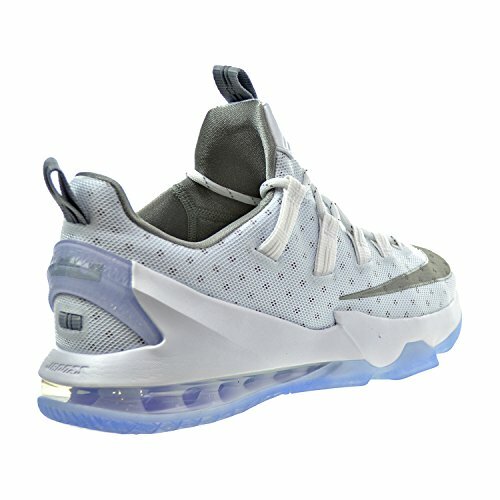 Lebron XIII has full-length Phylon midsole for lightweight cushioning. It is much better as compared to Lebron XII. The met unit, as well as the heel unit, is really great. These zones occupy a huge amount of space, and are also both 13 millimeters thick. It’s quite a thick zoom unit. If you haven’t felt the responsiveness and bounciness in Lebron XII, then you will have it with the Lebron XIII. The heel to toe strides are no longer chunky and instead really smooth. The additional overlays provide better support and flexibility. Its Dynamic Flywire provides a comfortable fit and minor lockdown support. 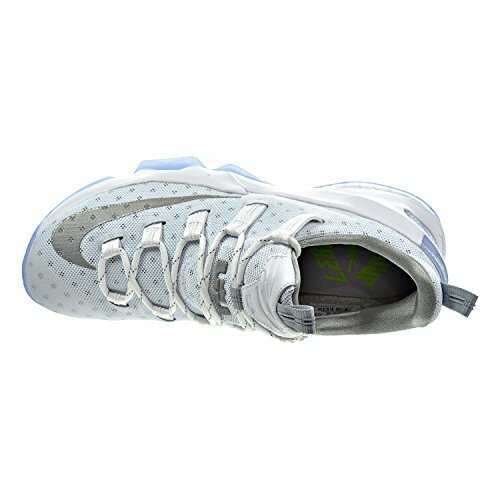 The Flywire feature was created to minimize the weight of the shoe. The Lebron XIII has lots of Fuse in or TPU zoned areas. These parts offer zero stretch so the fit will not be compromised as you make difficult cuts or change in direction. When it comes to fit it is true to size. It has interconnected lacing system with Flywire cables that improve lockdown during difficult cuts. There are lots of areas with flex and mobility, but zero stretch. If you ask for my opinion, this is one of the coolest basketball shoe. 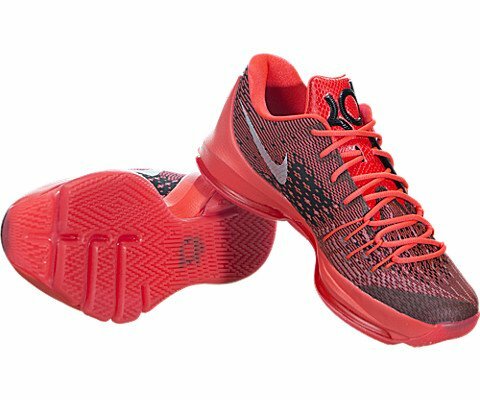 The rubber for durability and traction on the hardwood court used in KD 8 sneaker is soft and provides an awesome grip. 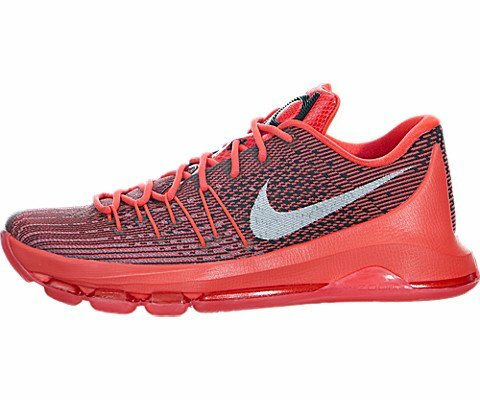 It has a new full length articulated Zoom Air unit that was created for the KD 8 for responsiveness that moves with you for control. If you are thinking how the Zoom Air feels, you don’t actually feel it at all. The main section under the ball of the foot feels great – explosive and super springy but the rest is braced by additional plastic or rubber to keep the bag from becoming unstable. 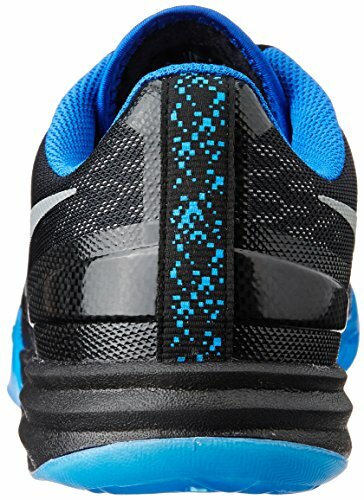 The Nike Flyweave construction for flexible support, lockdown and lightweight are awesome. 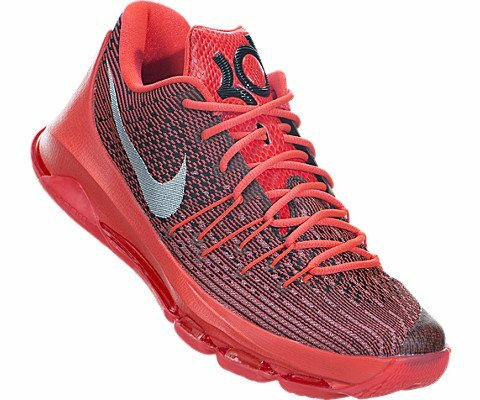 The KD 8 has full length cushion and a performance is woven upper at a price much lower than Air Jordan xx9 which has the same features. When it comes to fit, it is best to try the shoe first before buying it. The size of KD 8 is a bit tricky. 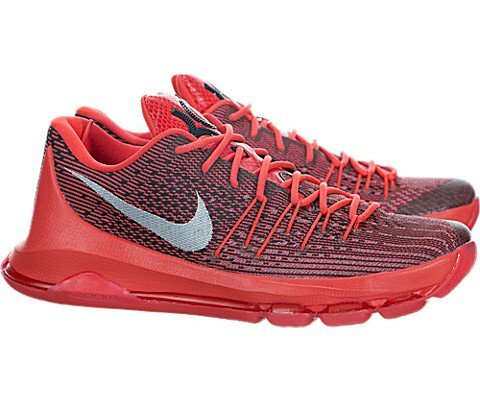 KD 8 uses a woven upper that break-in in no time. It has a solid lockdown. The forefoot has flywire cables are pretty snug to make sure that it will lock you down during hard cuts. KD 8 has internal heel counter that works great and the outside padding keeps things secured. 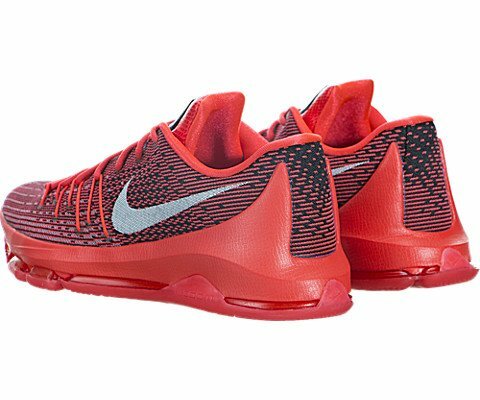 KD 8 basketball sneaker have several support features. First is its form-fitting upper. The more natural your shoe and your foot adhere to one another, the better the support will be. The shoe is built on a huge platform. Instability is not an issue since the zoom unit is flat and wide. 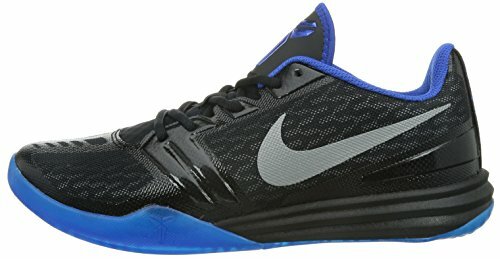 Choosing which among the best low top basketball shoes to buy is a tough decision. To make it easier for you to decide you can consider some of its important features like traction, cushioning, fit, support, materials and price. 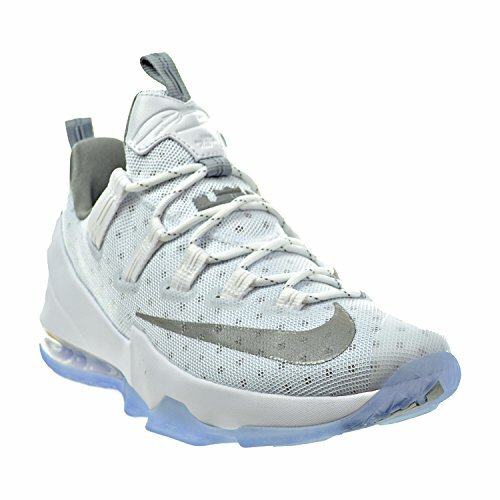 Some of the low top basketball sneakers mentioned here are a bit expensive. If you are on a budget, you can choose the one that possesses some of the features at reasonable price. For the first time low top users, it is best that you choose the one with a perfect fit and comfortable to your feet. 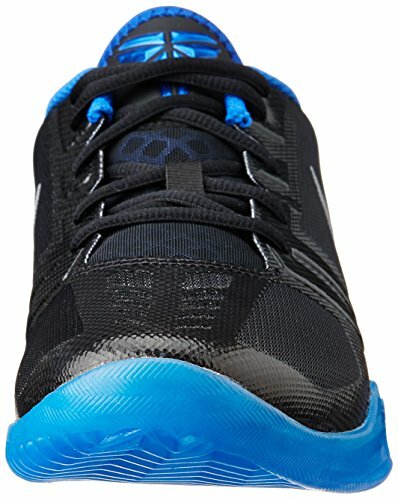 Good low top basketball shoes are hard to find, but I hope I made it easier for you.